The Maya Ajmera Sustainability Award has been a signature program at GFC for over a decade. It’s our largest grant, given to outstanding partners to support their long-term stability. We took an in-depth look at the award’s impact and value, surveying more than 100 organizations around the world. We asked our partners how the award helped them—and how we can make it better. Find out what we learned. Growing up with a dozen siblings in rural Cambodia, Thida dreamed of attending university in the capital. When her parents couldn’t afford to send her to school, she refused to give up. 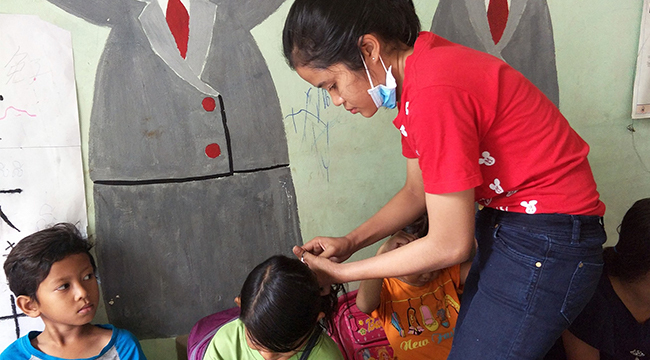 Today, with help from GFC partner Advanced Center for Empowerment, Thida is not only attending university—she’s teaching and caring for kids who live in the slums of Phnom Penh. A role model for us all, Thida shares her journey in her own words. Our new Regional Program Director for Africa shares about his fascination with airplanes, his background in philanthropic consulting, and what drew him to join team GFC. If he could have any superpower, what would it be? Read the interview and find out!